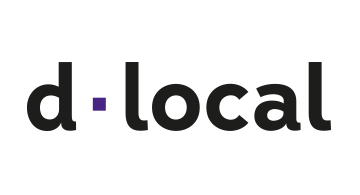 dLocal (https://dlocal.com) is the only 360 payments technology platform designed to handle mass online payments in Latin America and other emerging markets across APAC, Middle East and Africa. With dLocal, there is no need to manage separate payin and payout processors, set-up numerous local entities, integrate dozens of isolated acquirers and payment methods, worry about stranded funds overseas, nor undergo heavy operational burdens. By operating as the payments processor and merchant of record in each market, dLocal is making it simple for online companies to reach 2 billion digitally-savvy consumers in today’s fastest-growing markets. Over 450 global e-commerce retailers, Saas companies, online travel providers, and marketplaces rely on dLocal to accept more than 300 locally-relevant payment methods, as well as issue millions of payments to their contractors, agents, and sellers in growth markets around the world.